These Upcycle Style Classroom Essentials charts will complement a wide-variety of classroom themes and decor. The bright colors, playful textures, and rustic-looking woodgrain background in these charts bring a cozy charm to any classroom. 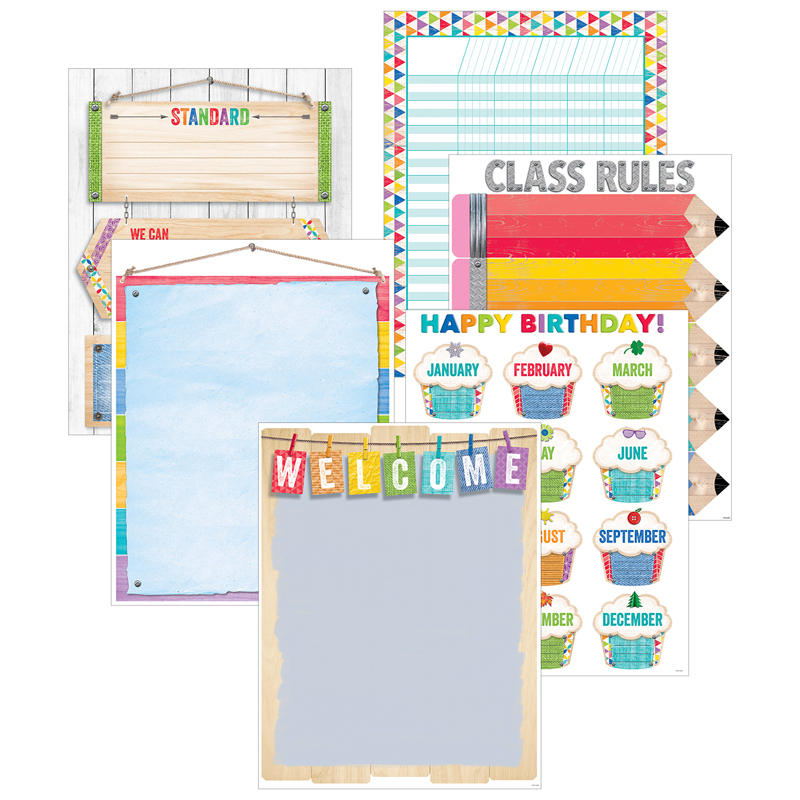 Pack includes a welcome chart, birthday chart, blank chart, class rules chart, learning standards chart, and incentive chart. Essential charts for any classroom!